Huntington Beach, Calif. – June 28, 2016 — Visit Huntington Beach (VHB) and the Downtown Business Improvement District (HBDBID) are partnering with the City of Huntington Beach to expand the Surf City USA Ambassador Program through the summer season. The pilot program extension will run on Friday and Saturday nights from 7 p.m. to 3 a.m. through September 3, 2016. Ambassadors will primarily be located between Pacific Coast Highway and the first three blocks of Main Street, and bounded by 3rd Street, Orange Street, and 5th Street. 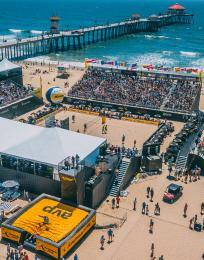 “We are thrilled to announce the expansion of the popular Downtown Huntington Beach Ambassador Program to now include nighttime weekend coverage during our community’s popular summer season. This well-planned cooperative effort between Visit Huntington Beach, the Huntington Beach Downtown Business Improvement District, and the City of Huntington helps to ensure a thoroughly enriching Surf City USA experience for visitors and residents alike,” stated Visit Huntington Beach’s President & CEO, Kelly Miller. 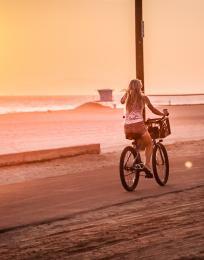 The Surf City USA Ambassador Program was launched in 2015 to promote a healthy, fun and family-friendly environment in downtown Huntington Beach, to greet and answer visitor questions, and to respond quickly to calls from downtown businesses regarding nuisance behavior from the general public. The daytime program operates year-round on weekdays from 11 a.m. to 6 p.m., except Tuesday from 12:30 p.m. to 9:00 p.m. for Surf City Nights, and on Fridays and Saturdays from 10:30 a.m. to 7 p.m. This year’s summer pilot program extends its hours on these two weekend nights significantly to 3 a.m. both evenings, with the evening program managed by Hospitality Ambassadors, LLC, based in Huntington Beach.